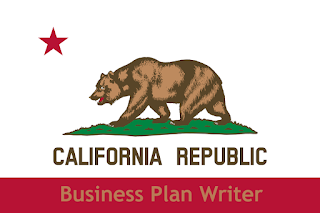 From Los Angeles to San Francisco, you will not find a more dedicated and professional business plan writer than me! Hi, my name is Nick and I've helped California clients develop their business plans since 2012. From the small Sacramento startup to the large corporation in Calabasas ...I am here to serve my clients. I graduated law school and business school and have been an entrepreneur since 1995. I'm professional, timely and cost effect. I've worked on Wall Street and Main Street. My prices range from $350-$1000, you can see a full list of different business plans I offer and their prices at "Business Plan Costs"
All I need to start is (1) the payment and (2) answers to my business plan questionnaire, which you can either fill out and submit or I can get the answers over the phone on a conference call. If you make the payment in full, you get the business plan in 7 days and I stick around to revise, review and consult for another 14 days. If you split the payment, you get the first half in 7 days and then the second payment is due. You get the completed business plan 7 days from the time of the second payment. You can pay with credit card, check, money order or cash. You can contact my past clients as references. In addition to Business Plan Writing, I also develop Pitch Decks, Customized Investor Proposal, Private Placement Memorandums, Company Formations, Website Design, Non Profit Formation and more. From the idea stage to the IPO, I can help your business or idea. I make myself available quickly when you text my phone 203-685-0346 or email me cervitudeir@gmail.com to schedule a free call.